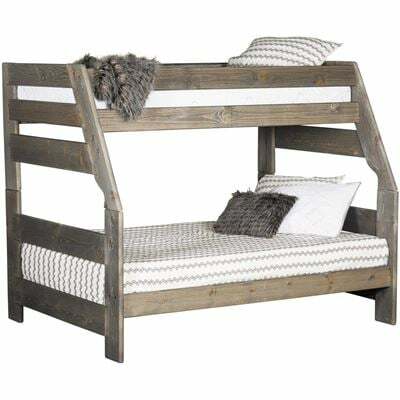 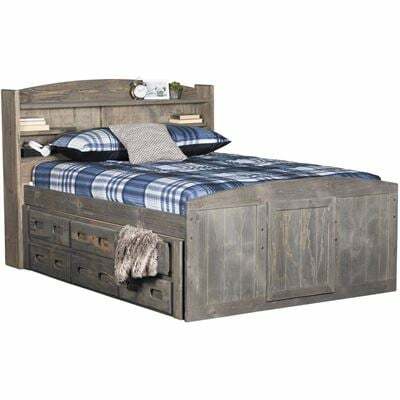 With its dreamy driftwood finish and space-saving bunk bed design, the Cheyenne Driftwood Loft Study Set by Trendwood is a stylish and practical addition to your bedroom. 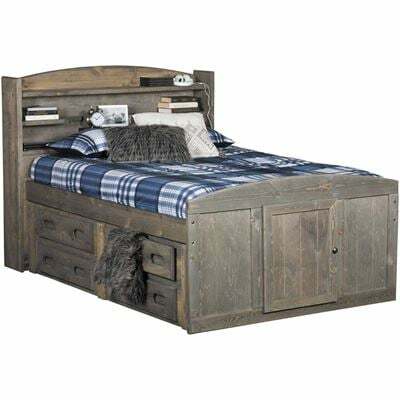 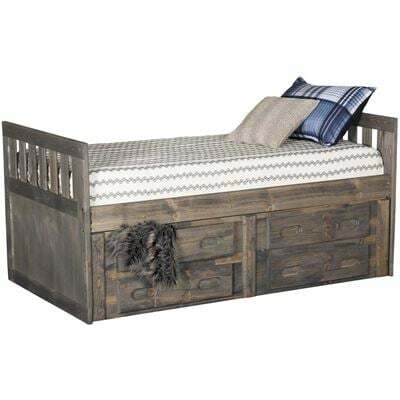 The simple styling pairs with a contemporary gray driftwood finish for a versatile look, while a built in dresser/shelf adds practical storage to the end of the bed and the lofted design provides space under the bed for a study area. 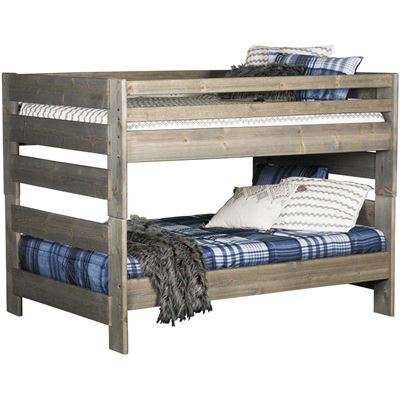 With its dreamy driftwood finish and space-saving bunk bed design, the Cheyenne Driftwood Loft Study Set by Trendwood is a stylish and practical addition to your bedroom. 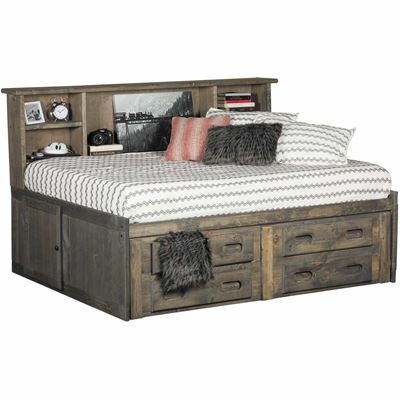 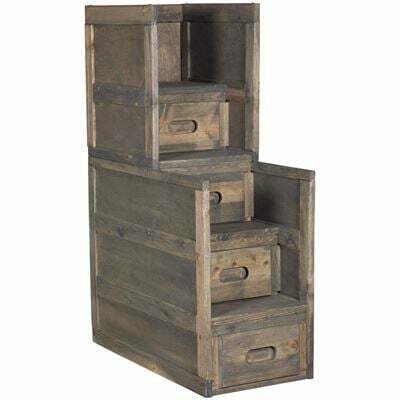 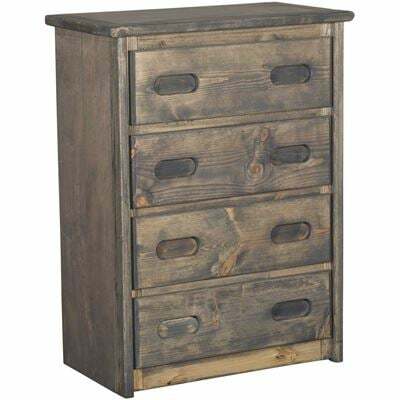 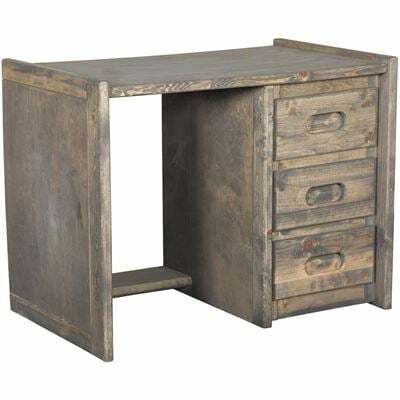 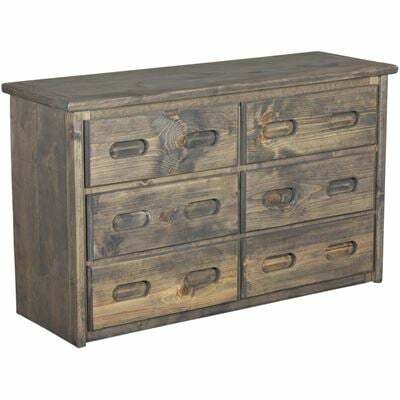 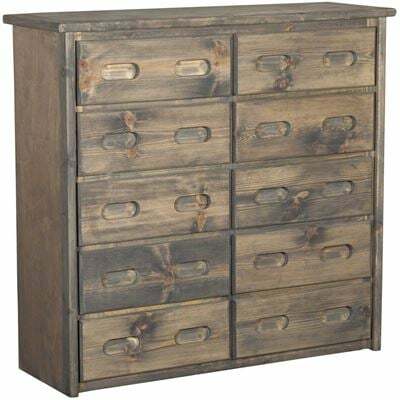 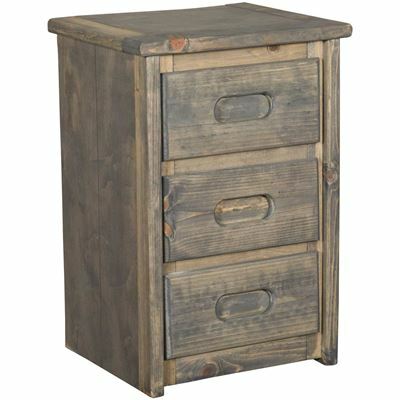 Cheyenne Driftwood Study Loft by Trendwood Furniture Inc.
Set includes loft top frame, 72" ladder end, loft short top end, dresser/shelf end, and twin slats. 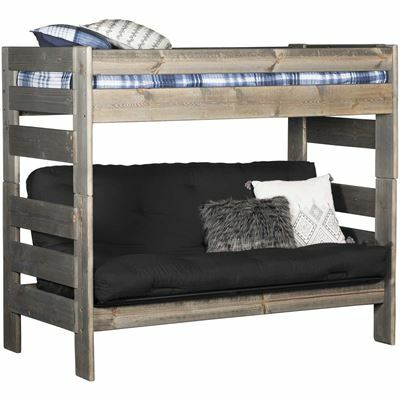 Constructed of ponderosa pine and Baltic birch.